This event "Dancehall Arean African BBQ Special The Very Best Of Dancehall Afro Hip Hop Trap And Latin" @ Marie-Antoinette has already ended on 07/21/2018. The deadline at our guest list has ended on 07/21/2018 at 6:00 PM. The deadline at our lottery has ended on 07/21/2018 at 3:00 PM. 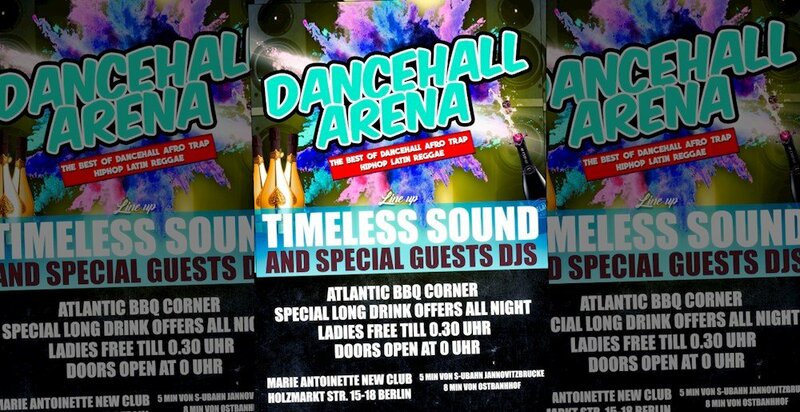 Dancehall Arena African BBQ Special The Very Best Of Dancehall Afro Hip Hop Trap And Latin .